Your Furnace Could Be on the Endangered Species List! There are about 18 different species of penguins and, sadly, about 10 of them face the threat of extinction, according to Birdlife International. Unfortunately, your furnace could be on the endangered species list, too, especially if it is more than 10 years old. The average lifespan of a furnace is about 12 to 15 years. After that, its efficiency and reliability start to slip slide away. When this happens, your furnace is no longer worth nursing along because it won’t deliver the warmth you deserve. Plus, your repair bills will snowball. Air Professionals’ cool techs have seen it all—and repaired it all. We have the training and expertise to get the best out of your furnace, keeping it running in tip-top shape for as long as possible. We will never try to talk you into a replacement when our sensible furnace repair service is the wise choice. However, there comes a time when a top-quality replacement and superior installation make the most sense. When it comes to furnace replacements and installations from Basking Ridge, Bridgewater and Hillsborough to Flemington and other parts of Hunterdon County, Air Professionals is your perfect partner. We’ll coast on over to size up your space, making sure your new furnace is the most affordable, efficient and reliable fit. We’ll help you decide which system is right for you—from a gas furnace to an electric heat pump. Your system is at least 10 years old. Your unit is generating little or no heat. Your energy bills have increased. Your repair bills are out of control. You notice strange noises and odors. We understand how frustrating it can be when your furnace breaks down in the middle of a Central Jersey cold snap. But try not to let it ruffle your feathers. 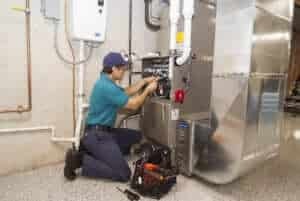 The cool techs at Air Professionals will coast on over to your place with the furnace replacement and installation that is just right for you and your home or business. Did you know a new, energy-efficient system can reduce your energy bills by as much as 30 percent? How cool is that? Plus, your new system will operate more quietly than older models. Keep in mind, though, that a top-quality installation is key. According to the U.S. Environment Protection Agency, more than 50 percent of heating systems don’t achieve maximum efficiency due to shoddy installation. Watch the Benefits Pile Up! Air Professionals has more than 20 years of experience under our bellies, er, belts. When you need furnace installation in Basking Ridge, Hillsborough, Bridgewater, Flemington, Clinton or across Somerset and Hunterdon counties, our NATE-certified techs are the smart choice. They will treat you—and your home—with the greatest respect. When they waddle off into the sunset, you won’t even know they’ve been there—except, that is, for your improved comfort, greater energy efficiency, lower energy bills and peace of mind. We offer free estimates for furnace replacements and installations, a 100 percent satisfaction guarantee on our products and services, 24/7 emergency services and same-day repairs. Plus, we’ve got cool financing packages to keep your budget on solid ground. 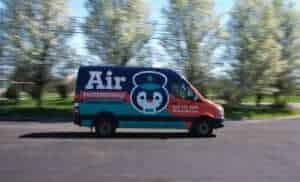 Air Professionals is the go-to contractor for all of your heating, cooling and indoor air quality needs, including heat pump repairs and heat pump replacements. We serve Bridgewater, Basking Ridge, Flemington, Hillsborough and Clinton in Hunterdon and Somerset counties. Not sure if your neighborhood is a part of our colony? Call us at 908.238.3732 to find out! Schedule Your Furnace Replacement & Installation Today! We aim to please! We offer free estimates for the replacement of an existing system or the installation of a new system. Call Air Professionals today at 908.238.3732 or contact us on the web.